Heritage Harbor, for those who are unfamiliar, is located just a skip away from the water. In fact, many likely pass it by while enjoying the recreational trail or making a monthly visit for taffy on Fisherman’s Wharf. The view from the office is of the harbor, and regardless of the kind of day, it is peaceful and beautiful. More important for me though is how close the office is to the community that I would be working with throughout the summer, and how connected I suddenly felt to that community. 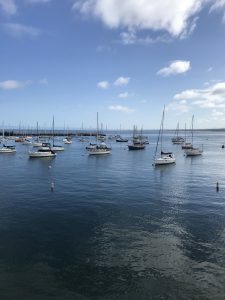 To provide some background: the Monterey Bay Fisheries Trust was founded in 2014 and strives to ensure that our coastal communities benefit from an active waterfront with access to sustainable seafood. With a mission to advance the social, economic and environmental sustainability of Monterey Bay Fisheries, the Trust has begun to develop a series of projects and programs to achieve their objectives and goals. I hit the floor running, inspired by the Trust and eager to contribute. My first task was to begin coordinating the Lost Gear Recovery Project. As one might assume by the name, the project removes lost or abandoned crab gear from the bay. 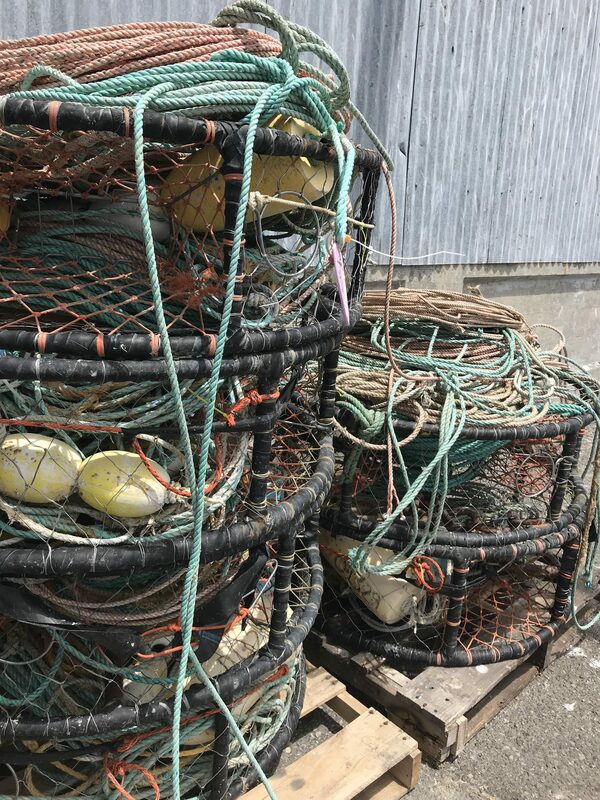 As the coordinator I have spent the first few weeks reviewing last year’s pilot project, working to develop a recovery team of local commercial fisherman and streamlining the process of returning the gear to the owners. Although the project, which will be in all three ports (Monterey, Moss Landing and Santa Cruz) doesn’t begin until mid-July, I have continued to emphasize the importance of getting a head start. Throughout the process, I have had wonderful conversations with participating fisherman, gaining valuable knowledge about the fisheries and the community. The project concept is nothing new, in fact, in many ports and fishing communities, lost gear is regularly collected and returned to the owner as it is the “neighborly thing to do”. 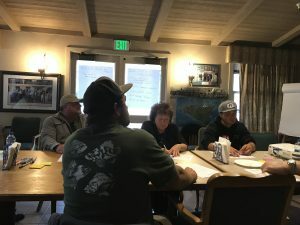 The fishing community is often portrayed as having little care for the marine environment, but as I spoke to each individual it was clear this was not the case and gaining participation for the project was rather easy. Although I was familiar with the community and aware of their interest in supporting the Trust and the programs offered. This attitude and stewardship was further highlighted during the fisherman’s meetings I was present at during my first week. The meetings, although centered around the concept of a seafood hub, offered an opportunity for this community to come together and discuss their thoughts, needs and concerns. It is the shared passion, opinions and goals I observed, of which I look forward to incorporating into my summer positions and the other project I will begin to develop. This entry was posted in 2018, Oliviya Wyse. Bookmark the permalink. ← Welcome 2018 Summer Fellows! I am so excited about the MBFT. Love this concept, and sooo glad you are there! Thanks for the great post!